What is the Food Safety Lab? 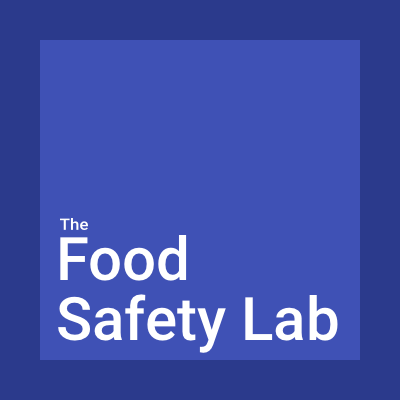 The Food Safety Lab is a social platform that facilitates technical interactions between students in food safety related degree programs and food safety professionals working in the industry and other organizations. The Food Safety Lab publishes blogs written by both professionals in the industry and students in the food safety field. THE FOOD SAFETY LAB DOES NOT ENDORSE OR SUPPORT THE OPINIONS OF GUEST BLOGGERS BUT SUPPORTS AN OPEN FORUM OF DISCUSSION. Partnered with Food Safety Magazine, we re-release an article in the Portal every few months, previously written in the Food Safety Magazine. We also post a Beaker almost every day, showing off quick news blurbs from the food safety industry. All of these tools help us foster discussion on certain important topics that aren't being covered enough. What happened to the lab? Previously covering all of public health, the Lab has been re-purposed into the Food Safety Lab, covering only food safety. This way we are able to be more focused and produce more content on what we're really passionate about. The Food Safety Lab will act in the same manner that you are used to with the Lab, but will only cover food safety. The Beaker is a service that will post a new food-safety-focused story/news article almost every day with an eye to innovators and innovations that could potentially save lives. Posts on The Beaker will be a very short summary of the article as well as a button that will take you directly to the article. The article will not be hosted on our site itself. This will make The Beaker a quick and clean way to find and read about a new food safety issue/innovation on, basically, a daily basis. We intend for The Beaker to continue to be an extremely simple-to-use service: come to The Beaker, read the summary of today’s article, click through to it, read/skim through, and on with your day. You may also see some of the work of The Lab participants be featured here. The Portal is a partnership between Food Safety Magazine and Public Health Innovations that is designed to share essential food safety content from the archives of Food Safety Magazine to promote public health and increase food safety awareness, particularly among students of food science and food safety, as well as others interested in promoting food safety. There will be a new Portal release every few months. All of us here at Public Health Innovations hope you enjoy the future of The Food Safety Lab and the new, exciting things to come. Together with our industry leading blogs, university student interaction, the Portal, and the Beaker, we hope to continually provide our users with new and interesting food safety content, focused on new innovations at a constant pace. If you are at all interested in food safety, we hope you choose the Food Safety Lab as the place to be. We are absolutely thrilled to have you here and we hope you enjoy the Food Safety Lab!